Become lost in the immersive experience of an elegantly designed 27-inch curved monitor with thin bezels and superb sound. Beautiful and stylish curved design. the world's thinnest bezels (7.7 mm) on a 27-inch curved monitor lets you enjoy a near-continual view across multiple screens. With a robust stand, easily tilt your monitor with less worry of wobbling. Elegant looks: a classy black piano finish gives this monitor an eye catching design that would fit with any decor. Superb audio: down-firing 9 W speakers seamlessly integrate at the base of the monitor screen offering rich and powerful audio. Engaging audio meets a comfortable viewing experience. Enjoy a curved monitor experience that delivers an immersive screen that surrounds your senses with amazingly detailed imagery and crisp audio. Improve viewing comfort with a more uniform focal distance across the curved screen, thanks to less eye movement which reduces eye fatigue. Experience deeper reds and darker blacks with a superb 3000:1 colour contrast and enjoy the same consistent colours across an ultra-wide 178 / 178 viewing angle. Ride the bass with rich and engaging sound from dual 9 watt (18 W) integrated speakers. Easy to use. Built to last. Stay connected over multiple devices including mobile and gaming via VGA, 2 x HDMI/MHL (combo) and audio-in and headphone ports. Relax knowing that your Dell monitor comes with a 3-year Advanced Exchange* Service* within its 3-Year Limited Hardware Warranty*. Environment-friendly materials: your new Dell monitor is made with arsenic-free glass and a mercury-free LED panel. Its circuit boards are made from brominated flame retardant (BFR) and PVC-free laminates. 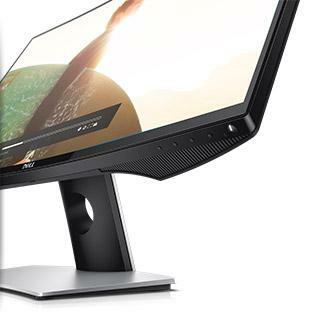 Complete your experience with accessories designed to make the most of your Dell 27 Curved Monitor – SE2716H. This sleek and stylish keyboard and mouse combo offers improved typing efficiency with chiclet keys and a fast tracking, full-size laser mouse.Connect up to six peripherals with one unifying USB dongle. Dell Adapter -– USB 3.0 to HDMI/VGA/Ethernet/USB 2.0 is a slim, compact device that replaces the need for 3 separate dongles for easy connectivity with laptops. Helps to create productive, wireless workspaces with Windows® 8 Gesture Controls and has a reliable battery life. 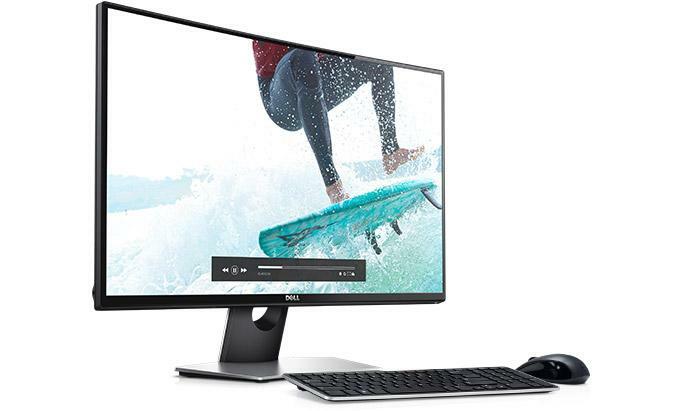 Because it is backed by a 3-Year Limited Hardware Warranty* and Advanced Exchange* Service*, you can purchase your Dell 27 Curved Monitor – SE2716H with confidence. You can only compare up to 7 products. To compare this item, deselect one of the other 7 products.